Anyone can walk in to our Open Access service without an appointment and be seen on a one-to-one basis. We provide advice and information and assessment and; can ensure people can access any part of the East Riding Partnership service they need. The service is open to people with a substance misuse problem, carers, family members and professionals seeking advice or signposting to other services. Referral is via our direct access drop-ins, which are held on a weekly basis at nine different locations in the East Riding of Yorkshire – please read our ERP Open Access Leaflet Mar 2019 for more information. Where people can self-refer and be seen on a one-to-one basis by one of our practitioners. 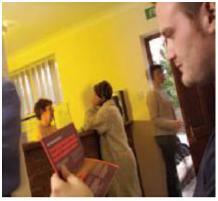 Service users can receive advice and information and assessment should this be required. They can then be referred onto the most appropriate part of the service to help them in their recovery. The team provides support to service users but also to carers, family members and professionals seeking advice or signposting to other services.